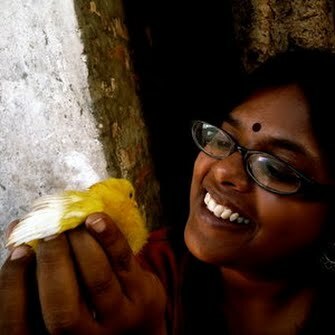 Kavita has over 15 years’ professional and organizational experience in development communication, wildlife and environmental film making, independent documentary films and participatory video across South Asia and Africa. She is currently working on a film project documenting the lives of persecuted bloggers from Bangladesh seeking asylum in Sweden. In the past, she has worked with several international media organizations including the National Geographic and CBS. She also has significant organizational experience, working on the board of several civil society organizations. Kavita has done her Masters in Sociology from Delhi School of Economics. She is a film buff and an avid reader of Scandinavian crime fiction. Dance with hands held tight- 62 mins/local Indian language with English Subtitles/ 2005/ PARTNER: UNDP 80 % of rural women are engaged in livelihoods depended on natural resources in India. Does State policy recognize the value or the intensity of the knowledge systems, which have developed? Filmed in the coastal villages of Karnataka, amongst the Apatani Women of Arunachal Pradesh, adivasi women of Orissa and dalit women of Central India, this film tries to explore these key questions. This film has won the ‘most viewed’ award and the critics award for the best Art Film at CULTURE UNPLUGGED. A short showreel capturing the highlights of Kavita's film work. Trailer of a short film on the Welcome OUT festival that celebrates the open and equal participation in society of lesbian, gay, bisexual, pansexual, asexual, transgender, intersex and queer persons and strengthens the inclusive spirit of Uppsala, Sweden.